Add a Human event shirt for an additional $12. Round 3 of the Chasing Tail Run on September 22, 2018! 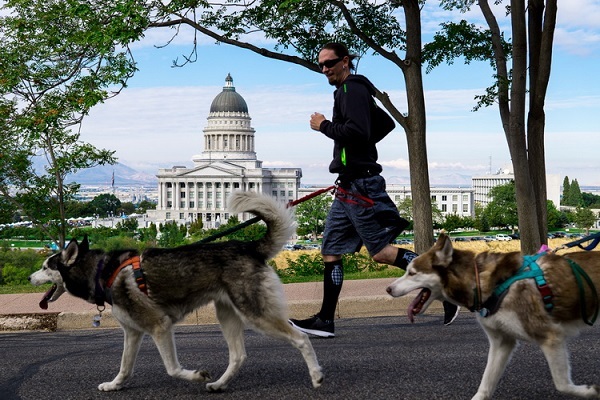 Enjoy a 4 mile run through Downtown Salt Lake City! Plus the 1.5 mile Doggie Dash to support Salt Lake County Animal Services! Both distances start and finish from Squatters Brew Pub in Downtown SLC! Get in touch with us on Facebook, Twitter, Instagram by clicking on the icons to the left. Or, send us an email HERE. If you would like to help us with the race, we LOVE OUR VOLUNTEERS! Sign up HERE! Each runner will get a commemorative beer glass from Squatters Beers. No need to bring it to the race, we'll have plenty of Squatters pints available! Once you finish, get your first beer included with your registration (unless you opted out)!! If you're a runner who's not of age or don't care for a beer, no worries, we'll have options for you too! Our awesome beer garden is family and dog friendly so come play some games, eat great food, pet some dogs, and cheer on the gladiators of the Stein Holding Contest! Tell friends and family who aren't running to come and join us for mega fun times! Festivites, food, and beer - it's a can't miss! We are excited to partner with Salt Lake County Animal Services for the Chasing Tail Run! 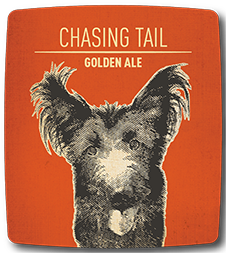 While you chase your tails and beers, you'll be supporting a great organization helping unwanted animals through shelter, care, and adoptions. When this page loaded, the official time was 8:30:14 PM EDT.